Double Arch Address Plaque - - one-line personalized home address sign holds up to four 3" characters. Solid cast aluminum or solid cast brass construction painted in your choice of 16 plaque surface colors. Wall mount. Made in USA. Aluminum signs come with aluminum border and numbers. Brass signs come with brass border and numbers. Double Arch Address Plaque. 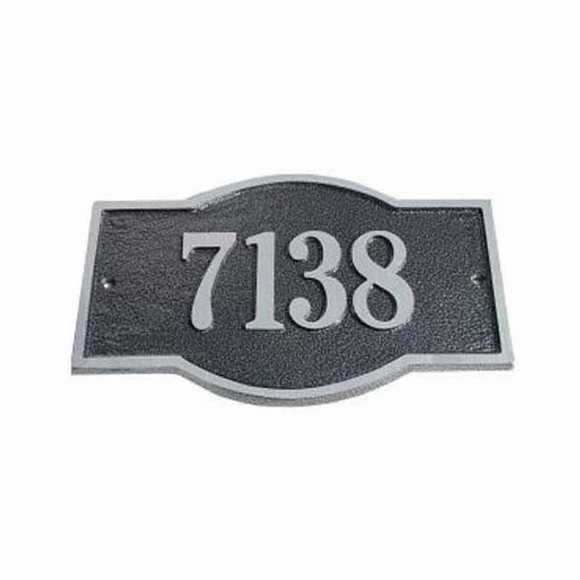 Personalized wall mount address sign holds up to four numbers. Solid cast aluminum or solid cast brass construction. 16 colors. Made in USA.